I don’t know what compelled me to fly here to be honest. Maybe it was to get the last of the Nordic countries out of the way before starting on the Balkans. And I think the koruna being somewhat cheap also had something to do with it. 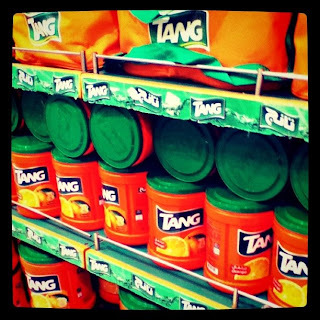 None the less, it was August, still summer, and I needed somewhere new to go. Also on my mission to make road running a habit rather than just an occasional hobby, I also saw the Reykjavik Marathon was on very close to my annual leave, and fortunately I was top bid in August as well. Sadly, when I did at last receive my August roster, I didn’t get the days off I wanted. Massive disappointment and my training suffered now that I no longer had a set goal, but what could I do... What was even worse, because of the lack of connections between my airline and Lufthansa and Icelandair, I had a massive 8 hour wait at Frankfurt airport between my flights from Dubai to Keflavik. None the less, I still arrived with my sanity and energy somewhat intact, booked a few tours online, and saw the natural beauty of Reykjavik and Iceland. The first thing I wanted to do was visit the very famous Blue Lagoon. I arrived at 9.00, the opening time, and the crowds weren’t too cumbersome. It was great to just chill out, slather on the silica mud onto the face to soften the skin and sweat it out in the steam rooms (I can’t cope in a sauna). After what for me was a very tough month work-wise, this was exactly what I needed. The waters were like something out of a dream – milky blue, unique to the Blue Lagoon due to the unique combination of minerals and algae in the water. It was raining during the whole time there, but the waters are around the 40 degree Celsius mark, so you never felt uncomfortable. It’s claimed that the water even helps Psoriasis sufferers, but I didn’t need any help in that department. The water though does have its disadvantages. I dunked my head in the water, once for 2 minutes to get the silica mud mask out of my hair, then I went under the waterfall for about 90 seconds later on, as this was supposed to be the hottest part of the blue lagoon. I’m now cursing myself for not wearing a shower cap, because my hair was totally trashed afterwards. It took 30 minutes of brushing in the toilets afterwards to make it look remotely neat, and as I write this I’ve done 3 x 1hr sessions of moisturising mask and it’s still not back to the shiny silky Asian hair it used to be. Actually the texture looks like I’ve dyed it black after doing a full blonde peroxide bleach. It’s just awful, but considering how unique the experience is at the Blue Lagoon, it is totally worth it. So after I made it back to Reykjavik, I hopped on the Golden Circle tour, the most popular tour in Iceland. First stop on the tour was Þingvellir (which to my native English ear sounded a lot like Thing-vet-leer!) national park, the very first location of the Icelandic Parliament Alþingi, which at 930 AD was said to be one of the first parliaments ever established. Because of the location’s significance in history it is an official UNESCO World Heritage site, and is also notable for all the gaps & cracks in the landscape, as it also happens to be where the Eurasian and American tectonic plates are separating at a rate of 2cm a year. Gorgeous to look at, but you do have to have some good shoes on, as the pathway is lined with stones and the mist from the waterfall makes everything you step on very wet. Luckily I had on my Hunter Wellies, a last minute pack job after seeing it was forecast showers during my stay. At the cafe at Gullfoss I also tried some of the Kjötsúpa, the Traditional Icelandic Lamb Soup. It was pretty tasty, reminded me of some stews my dad had cooked for me as a child. Considering it was rainy, windy, and cold from a Dubai perspective, it was exactly what I needed. They love their lamb here, the quality is amazing, and now that I think about it I didn’t have a single bad meal during my entire stay. So the next and final stop on the Golden Circle tour was the Geysir, which was the origin for the English word of Geyser, a type of spring that bursts from a build up of heat and steam from below. The waters around the Geysir area were all around the 80-100 Degrees Celcius mark so there were bordered areas where we could not pass. The famous Geysir had not erupted for quite a while, but the reported sightings were that when it did erupt it could reach up to 80 meters high. Another smaller geyser called Strokkur is much more reliable, erupting once every 6-8 minutes on average. The danger with Strokkur is that it’s hard to get the perfect shot, you don’t know how high it’s going to be until it’s erupted, and if you get too close and get wet you end up smelling like rotten eggs from the sulfur. Everyone waiting for the Strokkur geysir to eurpt. Next it was onto the old fishing harbour of Hafnarfjörður, the third largest city in Iceland. The fishing industry is vital to the country, which you notice more than anything in the dining choices you had in the city. It also rears a lot of lamb and swine. So the next stop was Höfði, a house that was made famous for being the chosen location of the 1986 Icelandic Summit meeting between Ronald Regan, then the US president, and Mikhail Gorbachev, then the president of the USSR, a meeting that, despite being unsuccessful, was the beginning of the end of the Cold War. Outside the house there are three commemorative plaques, in Icelandic, English and Russian, detailing the significance of the meeting. One of the landmarks that you see when driving from the Keflavik airport to Reykjavik is the Perlan. Built originally as a Geothermal Hot Water tank it has now become one of the main tourist attractions in Reykjavik, with a viewing platform, gorgeous architecture, a revolving restaurant, cafe, a museum, and tourist shops galore. The view of Reykjavik from here is pretty amazing, and free to check out, so it’s a place I didn’t want to miss. Now onto the most architecturally-appealing building in Iceland – the Hallgrímskirkja. It took 36 years to construct, and has a statue of Icelandic explorer Leif Eriksson seemingly guarding it. It doesn’t have any fancy paintings, and isn’t adorned with gilding or extensive sculpture work that other churches have, but the simple concrete structure does look strangely beautiful against the Reykjavik landscape. There was a funeral the day I visited, so I was kind of rushed as to what I saw and the photos I took, and looking back on it now I wish I went to the observation tower. Statue of Leif Eriksson outside the Hallgrímskirkja. I don't know why but everytime I visit a church I always find the organ to be the prettiest thing inside. And finally the last landmark I visited was Harpa – Reykjavik’s Concert and Conference Hall. The building is gorgeous to look at – it has a steel skeleton and irregular glass panels that catches the light. It’s quite nice to walk around the building and see the change of the glass panels and the change in colours as well. The photos don’t really do the building justice – and to think the project was at great risk of collapsing in 2008 during the global financial crisis – it would have been a great shame. I guess I should mention the places I dined at, because whilst I was in Reykjavik I didn’t have a single bad meal. Long time in a while that has happened on holiday I can tell you! Durum – Veg and Organic Cafe. Hey guys, just thought I'd send you a quick update. At the moment I'm on my annual leave, and in keeping up with my "Must visit a new country every 6 months" rule, I've decided to head to Reykjavik. At the moment I'm working on a draft for one post, and the Reykjavik notes for another post has gone to two pages, so there will be a decent amount of culling on my part. Today is my last day here, then I'm off to Oslo and Bergen from tomorrow. Can't wait. Meanwhile, have any of you seen anything like this at your airport? 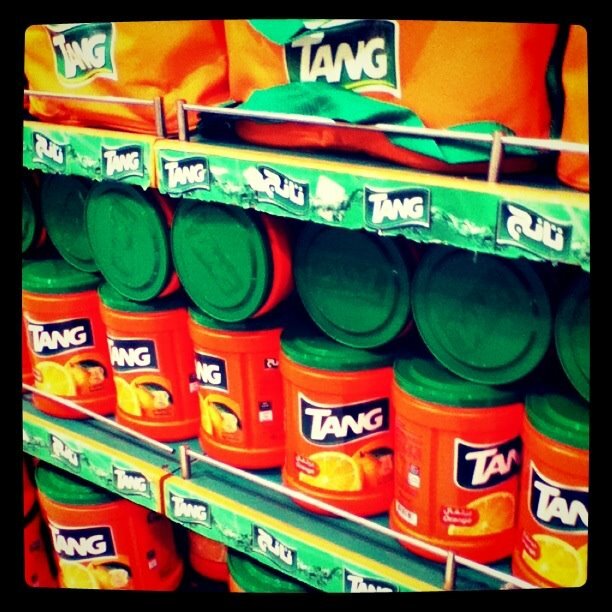 An entire shelf of Tang? They also had a whole shelf dedicated to Powdered Milk, all in the Duty Free section of the Terminal 1 at DXB, nestled along the cigarettes, booze and cosmetics. I remember being stunned seeing massive bags of Persil washing powder being available for sale here once, and thinking "Why would someone buy washing powder at the Duty Free?" Only in Dubai!